30, 60 & 100 mile WRU all start 08:00 Saturday 3rd November. Registration will be open from 19:00 - 21:00 Friday 2nd November and again from 06:30 - 7:45 Saturday 3rd November. Step 2: We will send you an email and add you to our mailing list so we can keep you up to date. Step 3: Arrive at the event centre nice and early, visit registration between 19:00 and 21:00 Friday 1st November or 6:00 to 7:50am Saturday 2nd November where you will receive your Race Pack & final instructions. Saturday 2nd November for the WRU 100/30/60 mile. Below is some important information to help you prepare for race day. If you are late to registration you won't be starting, make sure you know where you are going, where you are parking and don't leave any of this to the last minute. At registration you will need to bring with you one form of photo identification to show at registration. This can be a photo-card driving licence, passport or any other identification card or membership card as long as it has your photo on. We have to be strict on this one – no ID, no start. Also, bring along your run pack (rucksack/bumbag etc) as there will be a kit check. front of your race number. corners & be clearly visible. you are wearing your number & carrying the required kit. Concealed or mutilated in any way, any of these and you won't be getting a finish time. There does seem to be some confusion over this last point, we did think it was simple but: If you alter the race number in anyway, by folding, cutting or your number is not clearly visible at ALL times etc, that is you telling us that you are no longer wanting to be a part of the event. •All competitors in the Ultra, receive a baggage tag. is securely fastened to your bag. ​YOU are responsible for collecting all kit from the baggage store at the end of your race, we will not post or forward on any left kit. In 2018 there was some ridiculous parking on pavements, across gateways double parked etc, this will not be tolerated, at registration you will be required to provide your vehicle registration number and face disqualification form the event! Parking is available in the local area but please park sensibly. Parking within the Race HQ is NOT available. For Friday night– there is plenty of choice of good eateries in area, search Slaithwaite, Milnsbridge, Meltham all within 5 minutes drive. On Saturday afternoon onwards to the last person finishing, a choice of veggie chillie, breads, rice puddings and other savoury/sweat snacks tea coffee and cold drinks will be available the whole weekend. Waterproof jacket - not a bin bag or fashion jacket. It needs to have a waterproof membrane and taped seams. Torch and spare batteries (or spare torch) AND a back light or reflective/hi-viz and or a glow stick attached to your back. There are several road crossings and we want you to be seen and safe. Tracker for those taking on the 100 or 150, the link to where you can hire this will be available in plenty of time. The mandatory kit is for all of you, no exceptions, 30, 60 or 100 mile. In the event of an incident that requires urgent medical attention in hospital call 999 or 112 and depending on your location request either the ambulance (if you are near a road or town) or if you are somewhere remote ask for the police and then ask for the mountain rescue. Note – 112 is the better choice for mobiles as you will not need to enter the phones pin number and the phone will search for other networks. After calling the emergency services, please notify our Event HQ – number below. Please put this number in your phone before the start of the race, actually put it in right now– just in case! The route is well marked. The signs are A5 size - hi-vis, blue arrows on a yellow background. As a word of caution out of the two lost runner incidents, in the past 4 years one was due to people following a person who had pulled out of the race and was been picked up by his mum. The second, a chap was going off route to a super market, he managed to draw quite a following! You must follow the route as marked. You MUST visit all the aid stations along the route. Take care crossing roads you will cross the main Manchester to Huddersfield road twice on each lap of the route. Please respect the local residents in the villages and towns along the route by keeping any noise to a minimum – especially where you will be passing through these places at night. We have decided to be a little more generous with the cut offs this year, to hopefully allow everyone to complete the route without any added stress. However; In addition to these times, WRU 60 cut off 8 hours at mile 30, WRU 100 cut off 24 hours at mile 60. (Mile 30/60 is Race HQ) If you are not on your way before these times or we strongly feel you will not make the next cut off we will be stopping you for both your safety and the safety of others. If for any reason you decide not to continue to the finish, please either report to an event marshal – giving them your name, race number & tracker or call the Event Emergency number and we will advise you what to do. Please do not jump on a bus, get a lift, go home or back to your hotel before doing this. If we do not hear from you at the end of the event, we will have no choice but to call out the emergency services to look for you, this cost will be passed on to you. 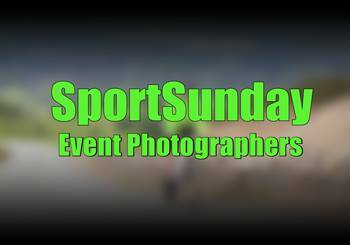 We will have our event photographer’s popping up along the route taking pictures of you all. The event photographs will be available on our Facebook page shortly after the event, and on our online portfolio shortly after, all our photos are free to download and use. Your supporters are very welcome to come along to cheer you on, but we do not allow them in or at the feed stations, these are competitor only areas. We would also ask that spectators do not park on the roads near the feed stations as this will result in a lot of congestion and may impede runners and put them in danger from other road users (whose vision may be blocked). Consider this, an event of this size struggles to have a good amount of support staff so don't be surprised if we ask you supporters to assist others and not just you! The finish will be in the grounds of the Stanedge visitors centre. There will be arrows directing you into the grounds. We have arranged hot food for all competitors at the finish. A voucher will be given to each finisher for a well-earned meal and plenty of tea & coffee. Food will be available for all finishers until 30 minutes after the last runner crosses the line at the WRU 100 mile, 30 hour point. This will take place soon after the first three men & first three ladies have finished in each distance, no sooner, if you aren't there on the podium you won't be getting your prize!